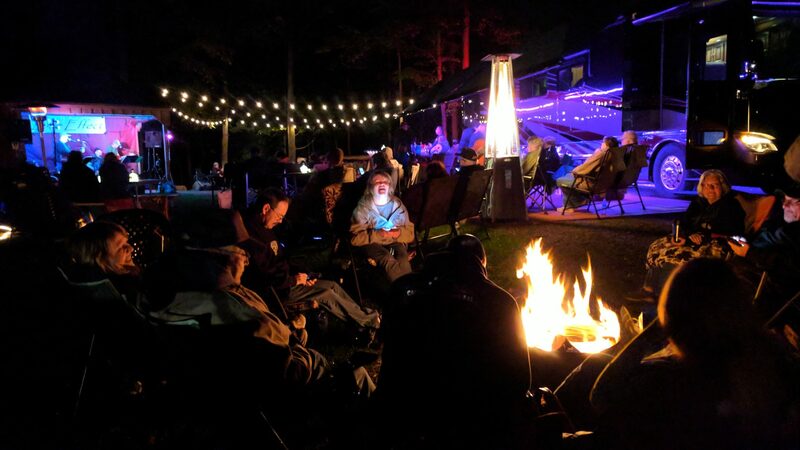 Bott-Lott CampJams Planned For 2018…Mark Your Calendars! Come one…Come all! The Bott-Lott CampJams are set for the 2018 camping season. The bands are booked! All we need is you and a few of your favorite friends. Or maybe not so favorite. We’re not picky :) and some drinks! What is a CampJam you ask? It’s a live band playin’…multiple campfires keeping ya warm…dancin’…drinkin’…and eatin’…good ‘ol time. 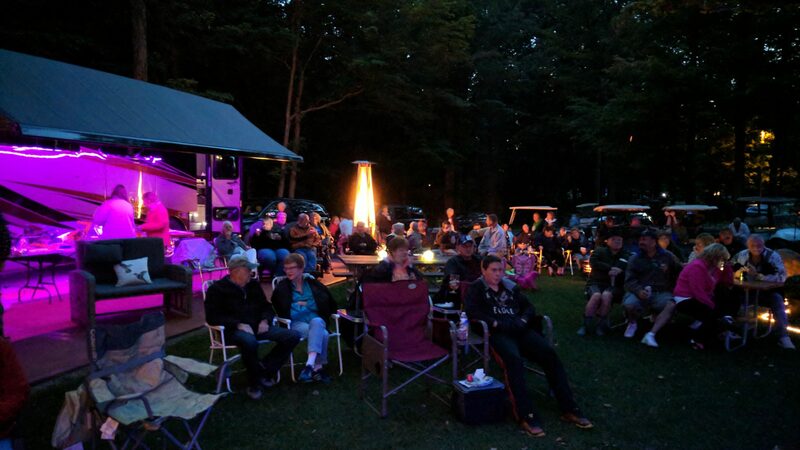 We host two CampJams a year at our seasonal site at Southwoods RV Resort every year. Everyone in the campground is invited! Bring your own chairs and booze and a dish to pass if you care to. We provide the live band and fun times! MAKE YOUR SOUTHWOODS RV RESORT BOOKING AS SITES BOOK UP!!! 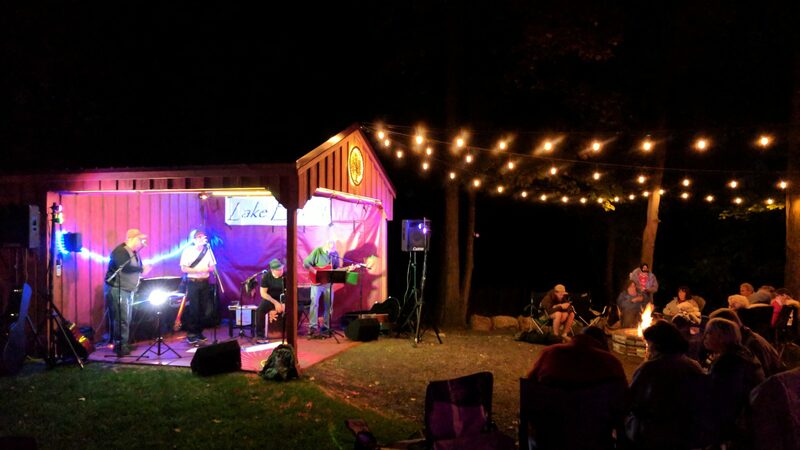 Our first Bott-Lott CampJam is Friday, June 22, 2018 from 7pm to 10-ish. For this one we have booked Stephen (bass guitar), Gary Edmonds (guitar) and Don Lorentz (keyboards) from the Boys of Summer Band out of Buffalo, NY. David will be joining them on his Cajon to complete the set. This will be the first time Stephen, Gary and Don will be joining us so let’s give them a great crowd and they will in turn give us some great music! 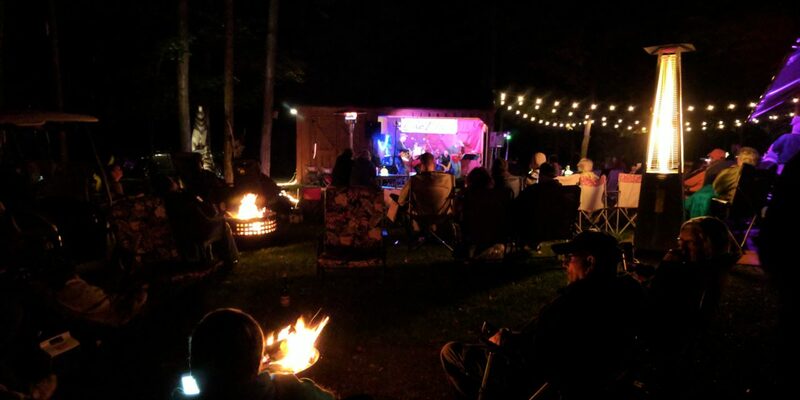 Our Fall CampJam is set for Saturday, September 8, 2018 from 7pm – 10-ish. Featuring the band Lake Effect with David joining them playing the Cajon! They were a blast last time they were here and we would not expect anything less from them this time. We hope you can join us for these fun events. It’s always a great time for the band as well as everyone! But don’t just come for us, although we do appreciate the love. Stay a little while and explore the area we call home. We’re close to Niagara Falls as well as the Finger Lakes Wine Country as well as a few of the top State Parks (Letchworth and Watkins Glen to name a couple) in New York! Make your reservations early because Southwoods books up fast! And be sure to tell them you are coming for the Bott-Lott CampJam! And be sure to Thank Mike and Sue, the campground owners, for letting us add these events to the Southwoods family of events. We love hosting them! 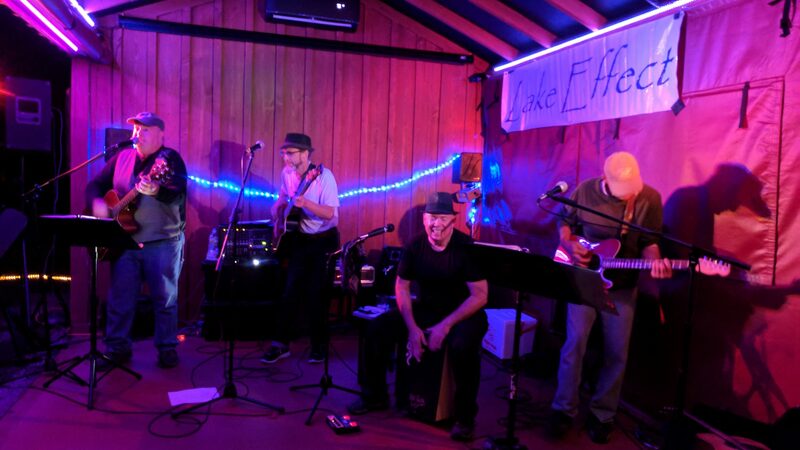 Here are a few new videos from Lake Effect and the LIVE BROADCAST STREAM (unedited) from last years show to give you an idea! PreviousGood BBQ In Upstate NY? With 58 Main BBQ In Brockport, NY It Is Possible! NextFMCA Revamped – Looking to Grow! 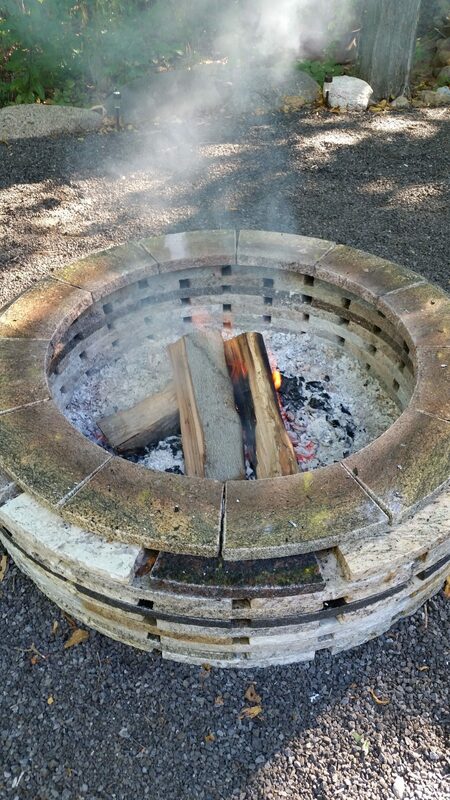 Just watched the campfire 360….very cool, I wanted to jump into the conversation several times. My wife and I will be at the Bott Lott Camp Jam this year we are excited to meet you both. Brenda, my wife (Paula) asked me find out what you would like us to bring for a dish to pass? I realize we don’t have to as you stated, but Paula wouldn’t think of going without bringing something. Do you have any suggestions or requests? 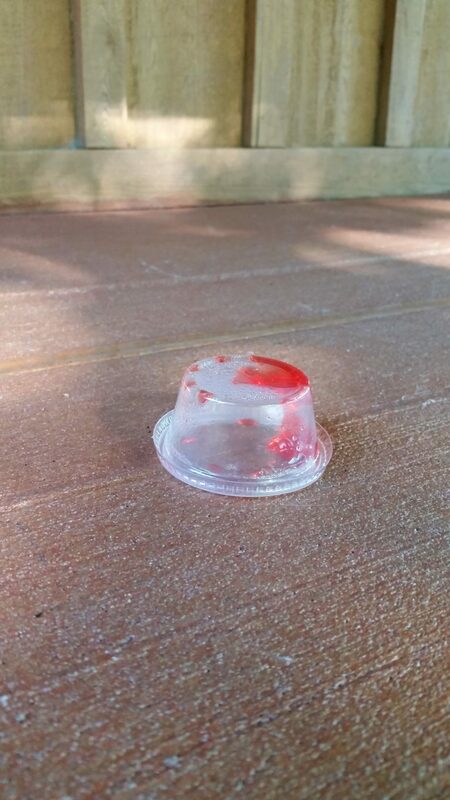 No Dave, we are not bringing Blue Bunny Ice Cream you brought home enough as I remember from one of your videos. lol ( we are hooked on it too, we are out already). We are bringing our two oldest grandsons 18 and 25. They are interested in seeing why Nanna and Grampa are so excited about driving a “bus” around the country. lol I’m sure they will find this a truly new and fun experience to spend with us! Great to hear you’ll make it to a Bott-Lott CampJam! Not sure which one you are coming to though. The one on June 22nd or the one on Sept 8th? Either way, make sure you introduce yourselves to us. As far as bringing something to pass, Paula was correct, it’s totally not necessary but appreciated. I will have some finger food and some drinks available. We ask everyone to BYO chair, drinks and what ever you like. So if their is an appetizer or some type of easy finger food then by all means, feel free to bring it.